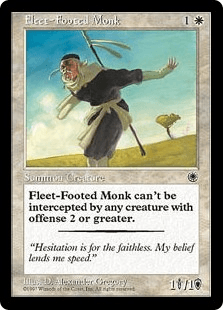 Fleet-Footed Monk can't be intercepted by any creature with offense 2 or greater. "Hesitation is for the faithless. My belief lends me speed."